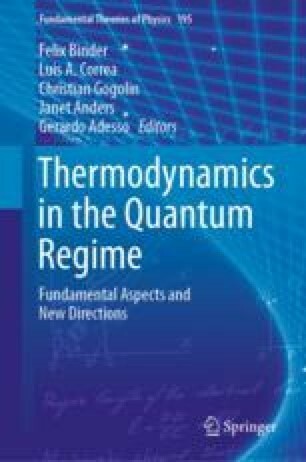 We discuss the application of techniques of quantum estimation theory and quantum metrology to thermometry. The ultimate limit to the precision at which the temperature of a system at thermal equilibrium can be determined is related to the heat capacity when global measurements are performed on the system. We prove that if technical or practical limitations restrict our capabilities to local probing, the highest achievable accuracy to temperature estimation reduces to a sort of mesoscopic version of the heat capacity. Adopting a more practical perspective, we also discuss the relevance of qubit systems as optimal quantum thermometers, in order to retrieve the temperature, or to discriminate between two temperatures, characterizing a thermal reservoir. We show that quantum coherence and entanglement in a probe system can facilitate faster, or more accurate measurements of temperature. While not surprising given this has been demonstrated in phase estimation, temperature is not a conventional quantum observable, therefore these results extend the theory of parameter estimation to measurement of non-Hamiltonian quantities. Finally we point out the advantages brought by a less standard estimation technique based on sequential measurements, when applied to quantum thermometry. ADP acknowledges financial support from the University of Florence in the framework of the University Strategic Project Program 2015 (project BRS00215).